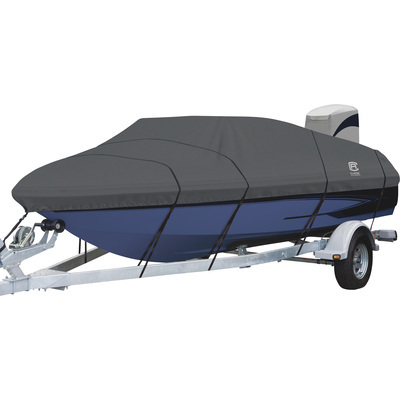 A boat cover is an inexpensive way to protect your ski boat against harmful UV rays, rain, bird dropping, and other debris with one of these quality boat covers from Bass Pro Shops, West Marine, and other quality suppliers. 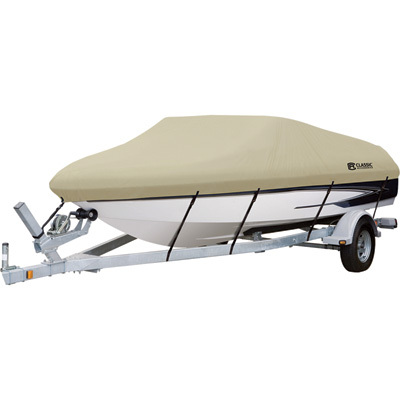 A boat cover will keep out moisture, to prevent mildew and mold, and helps keep rodents, birds, and other small animals from getting in and damaging your boat. 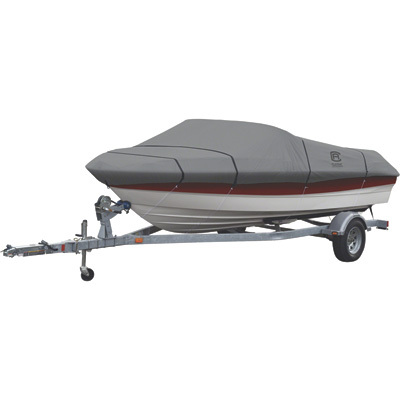 Covers prevent leaves, dirt, and other airborne debris from getting in and covering your boat with a layer of grime. 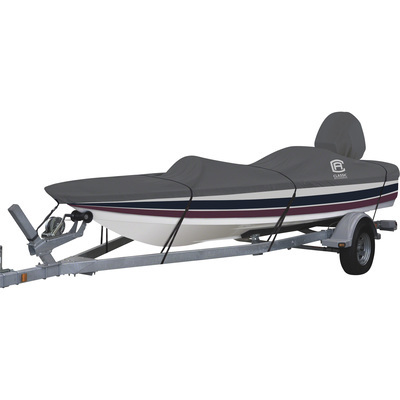 "Taylor Made Trailerite Semi Custom Boat Cover Euro Style Tournament Ski Boat with Wakeboard Tower - Black - 96"" - 17'5""-18'4"""
"Taylor Made Trailerite Semi Custom Boat Cover Euro Style Tournament Ski Boat w/Wakeboard Tower - Grey - 96"" - 18'5""-19'4"""
"Taylor Made Trailerite Semi Custom Boat Cover Euro Style Tournament Ski Boat w/Wakeboard Tower - Cranberry - 96"" - 20'5""-21'4"""
"Taylor Made Trailerite Semi Custom Boat Cover for V-Hull Fish 'n Ski Boat with Outboard - 96"" - Navy - 18'5""-19'4"""
"Taylor Made Trailerite Semi Custom Boat Cover for V-Hull Fish 'n Ski Boat with Outboard - 102"" - Cranberry - 20'5""-21'4"""
"Taylor Made Semi Custom Boat Cover for Conventional Tournament Ski Boat w/ Wakeboard Tower I/O - Hunter Grn - 102"" - 19'5""-20'4"""
"Taylor Made Semi Custom Boat Cover for Conventional Tournament Ski Boat w/ Wakeboard Tower I/O - Teal - 102"" - 23'5""-24'4"""
"Taylor Made Trailerite Semi Custom Boat Cover for V-Hull Fish 'n Ski Boat with Outboard - 102"" - Teal - 22'5""-23'4"""